List Rules Vote for your favorite Miss Peregrine's Home for Peculiar Children movie quotes! 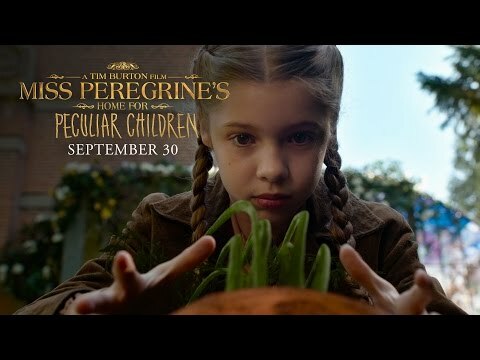 Miss Peregrine's Home for Peculiar Children movie quotes provide a peek inside the film about a special land where peculiar children live (mostly) harmoniously together. The fantasy adventure movie was directed by Tim Burton using a screenplay Jane Goldman adapted from a book of the same name written by Ransom Riggs. Miss Peregrine's Home for Peculiar Children opened in theaters in 3D on September 30, 2016. In Miss Peregrine's Home for Peculiar Children, Jake (Asa Butterfield) lives an ordinary life, at least up until a mission to find a mysterious creature his grandfather talked about leads him to an extraordinary land. On his mission, Jake meets Emma (Ella Purnell), who invites him to visit Miss Peregrine's Home for Peculiar Children and headmistress Miss Peregrine (Eva Green) and the other peculiar children. Though Jake doesn't feel anything other than ordinary, Miss Peregrine explains that Jake belongs in their special world, which can also control time as is needed to repeat the same day over and over again. It's up to Jake to harness his special skills to protect the peculiar children from a monster, much like the creature his grandfather described. Miss Peregrine's Home for Peculiar Children movie quotes bring the dialogue to the film, much like other quotes do for their respective films such as Goat, The Dressmaker, Storks, and Snowden. Miss Peregrine: Promise me one thing. Look after them, Jake. 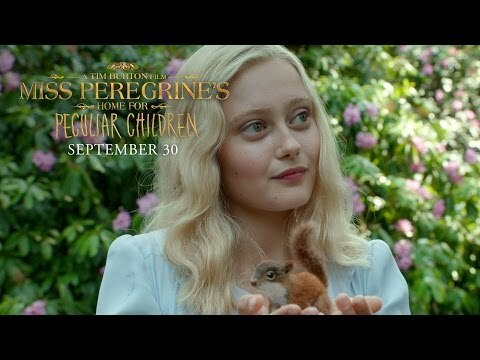 Moments before she turns into a bird and flies away, Miss Peregrine asks Jake to look after the others in these Miss Peregrine's Home for Peculiar Children movie quotes. Luckily for the others, Jake promises to protect the crew. Jake: I am just ordinary. Emma: No, you are not. Unaware of his special powers, Jake argues with Emma about whether he is ordinary or not. Emma knows he is far from ordinary and urges Jake to find out for himself. Miss Peregrine: You were born to protect us. Miss Peregrine: We call them Hallows. For centuries, they've hunted us for our powers. Jake learns more about his destiny as one of the peculiar children in these Miss Peregrine's Home for Peculiar Children movie quotes. As Miss Peregrine explains, he is destined to protect the others from the evil Hallows. Emma: Follow me. There's something I need to show you. Jake: How, how did you? Emma: Air, it's my peculiarity. If I show you the rest, you have to promise not to run away. On a mission to locate a place his grandfather talked about, Jake meets Emma who urges him to follow her deep into the sea. Jake has no idea what to expect in the scene from these Miss Peregrine's Home for Peculiar Children movie quotes, but is intrigued enough to keep following Emma either way.